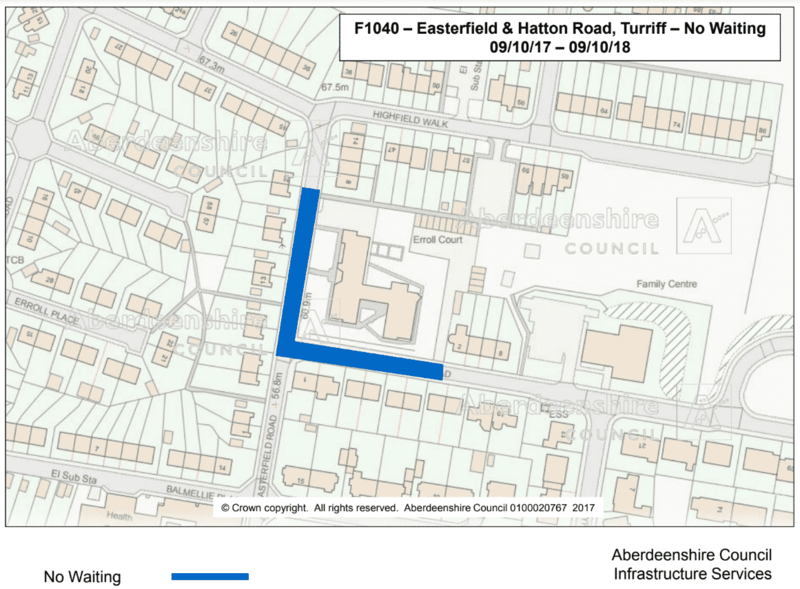 To allow for safe access and exit from the Erroll Court site, Aberdeenshire Council will be enforcing a No Waiting restriction on Easterfield Road and Hatton Road. The No Waiting restriction is for public safety while CHAP work on the site. The restrictions will start on Monday 9 October and last for a period of one year.